Home » Uncategorized » Event Data: Iceberg Right Ahead! Data is a valuable asset for many organizations in our space. Our industry is buzzing with talk about “Big Data” and event organizers have never had more data at their disposal—from app data, to session scans and traffic flow, to social media. Despite Big Data’s current “moment in the sun,” many of us are still guilty of making event and business decisions based on gut instinct, superficial statistics or established pathways. Analyzing data can be time-consuming and complex, while cleaning and standardizing our event data never seems to make it to the top of the to-do list. However, decisions based on gut instinct or historical precedence can harm an event and rob your team of the intelligence they need to take your event’s performance to the next level. 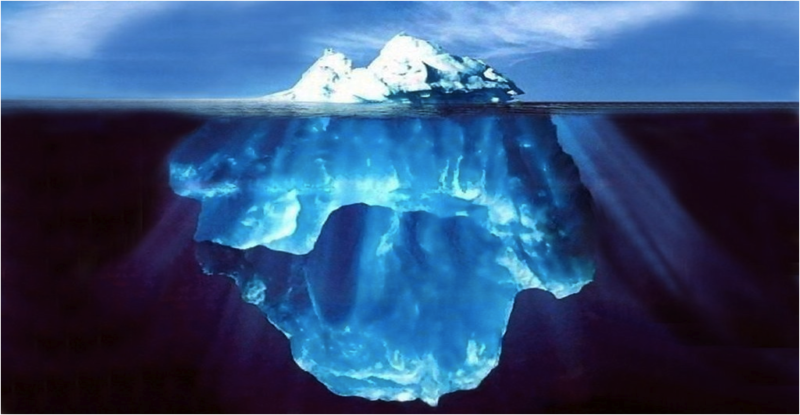 At Bear Analytics, we liken this to an iceberg scenario: While gut instinct, precedence, and historical analysis may give you an indication of a problem your event is facing, the majority of the issue still lurks beneath the surface. Without this deeper level of event intelligence, the decisions you make could steer your event to safety, but are more likely to put you on a collision course with issues you cannot even see. For example: An event organizer sees the same familiar faces from their industry year after year, and since their topline attendee count is growing slightly, they assume they have low attendee churn and stable retention. However, an in-depth analysis of their entire attendee base reveals that beyond this loyal, visible minority of attendees, 75% of attendees only come to the event once and never return. This high churn rate places additional pressure on the marketing team as they are always making first-time sales and trying to source new prospects—the event’s growth is not sustainable. These insights lie beneath the surface of standard “top-line” event metrics and gut feelings, but could drastically change the strategy behind the event’s operations, marketing, and content. Can you quickly identify your most valuable customers? This is the group of attendees or exhibiting companies that forms the core of your event. They return year after year and probably spend more per year than first-timers and other less loyal segments. You can empower this group to act as your brand ambassadors and incentive them with loyalty programs that recognize their contribution to your event. How does your attendee or exhibitor make-up shift if you hold the event in Philadelphia versus Orlando? This comparative geographic intelligence is critical for events that rotate around the country. Even events that stay put can benefit from understanding how their attendees’ geographic makeup may shift over time. This intelligence helps better target marketing and sales efforts and can inform venue selection and forecasting future events. Churn is a necessary evil for events. But have you analyzed these attendees or exhibitors abandoning your event? Patterns in event abandonment can inform your strategy. If you see that exhibitors who abandon disproportionately hail from the same section of the industry, it may indicate that industry dynamics are affecting your event and that your sales team will have to implement creative strategies to mitigate this trend. Likewise, if a certain seniority level abandons your event at a faster rate than everyone else, it may be time to realign your marketing or to evaluate your educational content. Aside from these three areas, there are many other actionable insights that can be gleaned if you dive beneath the surface of you event data “iceberg”. Ahoy event data ahead! 1 Comment on Event Data: Iceberg Right Ahead! Reblogged this on Ju & Jo Eventos.